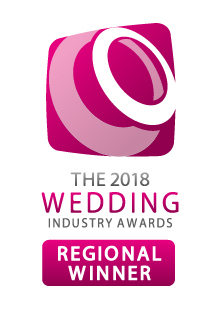 We have built an outstanding reputation as one of the South West’s leading wedding caterers and we are proud to have been given a Highly Commended in The Wedding Industry Awards 2016 Best Caterer South West. Our highly experienced chefs are passionate about the food they create and we are committed to using only the freshest seasonal ingredients, often from our own farm in Gloucestershire, and local suppliers. We offer all our couples a complimentary food tasting so you can taste the quality of our food for yourself. Come along and try a selection of food and talk to our event managers who can guide you through the process. We know this is the biggest day of your life, and the food needs to be as perfect as everything else. You will be allocated your own dedicated event manager to guide you through the planning process stress-free, from creating your personalised wedding checklist through to ensuring everything runs smoothly on the day. Whatever you decide, we’re here to help you create your perfect wedding day. As specialist wedding caterers, our menus have been carefully designed by our team of expert chefs to incorporate the freshest seasonal ingredients, sourced from within a 30-mile radius of our kitchen wherever possible.